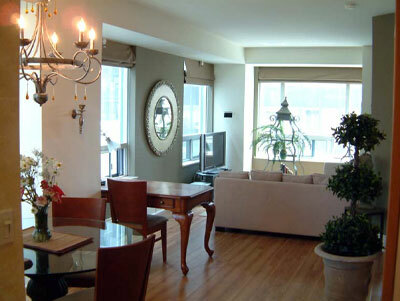 We have a few, selected, exquisitely furnished executive apartments and other rental suites to offer you; primarily luxury condominiums but some furnished duplexes, four-plexes and furnished houses as well, all in very desirable locations of Toronto. Professional interior designers have completely furnished each apartment with fine furnishings, a full range of large and small appliances, cooking accessories, bath and bed linens, cutlery, crockery and other necessities for your pleasant stay in our suites. 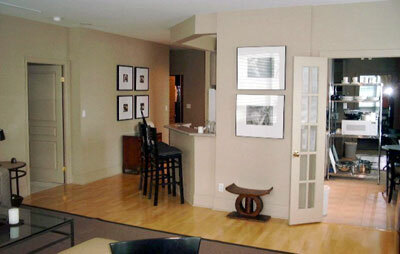 All furnished apartments have en suite washers and dryers. Each rental apartment has large principal rooms with high ceilings, some with ornate moldings, and some with formal dining rooms. Each furnished apartment has its own complete entertainment centre, including TV sets, VCRs/DVD players, stereo systems, and some with home theatre systems. 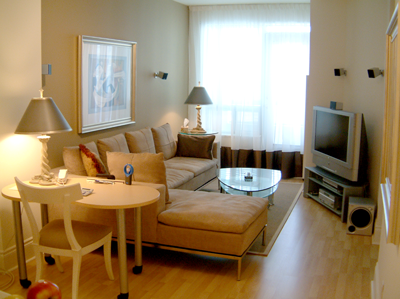 In addition, each furnished suite has cable, telephones and high-speed Internet connections. 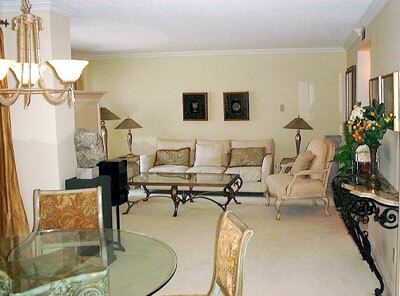 Unique decor and furnishing of our suites, the desirable amenities of these buildings combined with their locations have made these apartments preferred choices of actors, directors, producers and corporate executives. 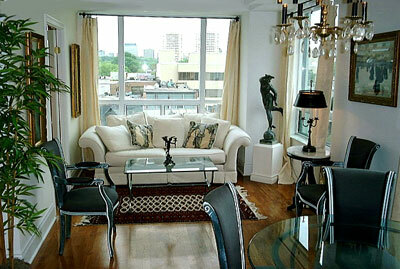 Most of our furnished condo suites are located in the chic Bloor-Yorkville area of Toronto. Bloor-Yorkville is among the finest shopping destinations in the world; it is often referred to as “Mink-mile” Toronto's "Fifth Avenue", "Regent Street" or" Rodeo Drive". Canadian flagship locations for Prada, Hermes, Tiffany, Louis Vuitton, Cartier, J Crew, Brooks Brothers, Swarovski, Pottery Barn, Williams-Sonoma, Bulgari, Nike, B & O, Chanel and Gucci are found on Bloor Street. The leading Canadian retailers are also here: Roots, Harry Rosen, William Ashley, Royal De Versailles, Birks, Holt Renfrew and Club Monaco. Bloor-Yorkville is truly a shopper's paradise! You will find some of the city's finest dining establishments, nightclubs, bistros, coffee houses, spas and salons, fitness clubs, museums, art galleries, bookstores, libraries and movie theatres in Bloor-Yorkville. New York-style deli, French bistro, Thai or Sushi, whatever your taste, you are sure to find a spot. Star gaze at Sotto Sotto, Sassafraz, Il Posto and Bellini's while you dine on exquisite fare. Relax at Remy's, Hemingway's Pub, or Flow, kick back at Bloor Street Diner, Black and Blue or burn up the floor at Babalu's. Whether you prefer the casual or classic, you can have the time of your life in Toronto's most popular neighborhood. With over 100 spas, estheticians and hair salons, Bloor-Yorkville is a beauty and health oasis in the middle of the city offering stylish cuts and marvelous manicures, luxurious massages, rejuvenating facials, and much more. 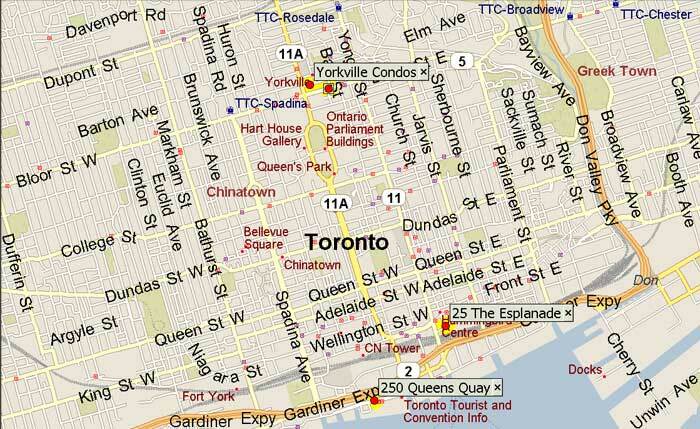 Bloor-Yorkville has some of Canada's pre-eminent museums. The George R. Gardiner Museum of Ceramic Art, the first museum in North America devoted to ceramics with a collection from Europe, Asia and the Americas. Explore the treasures of the Royal Ontario Museum (ROM) with its exhibits spanning human and natural history through the ages, and from around the world. The Bata Shoe Museum, Philosopher's walk and Queen's Park are other great family attractions. Former home to the Toronto International Film Festival, the area continues to be a favourate spot for movie stars to stay in and hang out. Visit some of North America's most distinguished commercial art galleries and boutiques located on the serene Victorian streets north of Bloor. For book lovers Chapters, Indigo and Toronto Reference Library are just steps away. 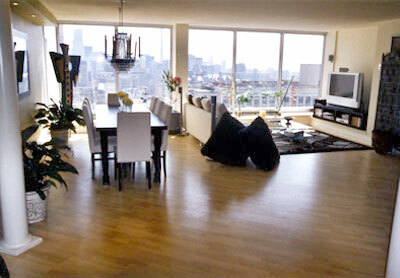 Pearson International Airport is approximately 25 kilometers (15 Miles) from Yorkville Suites. Scheduled service to and from the airport terminals is available through various means, by either Taxi, Toronto public transit subway TTC or Go Transit. International hotels such as The Hyatt and The Four Seasons Hotel are a few steps away from Yorkville Suites and offer scheduled shuttle service to the airport. Underground subway transit system TTC station Bay Street is next door to the Yorkville condominiums with connections to Union Station providing access to Go Train, VIA Rail and Greyhound. Automobile rentals of any description are available from all major rental companies located in the immediate vicinity.